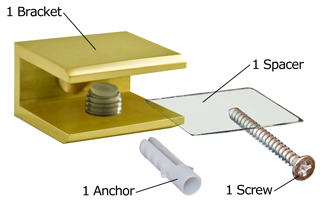 This Brass Square Glass Shelf Bracket is very easy to install and keeps either glass, acrylic or wood shelves firmly in place. 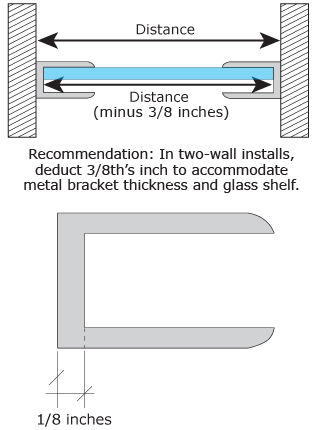 Works with glass thicknesses from 5/16 to 3/8 inches (8 to 10 millimeters). 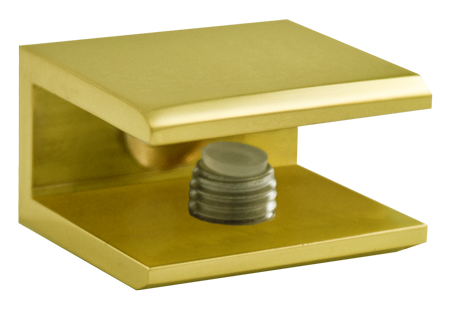 Comes with one 2" brass screw, gasket, and one plastic wall anchor – (may need to change anchor depending on construction of wall-type). Waterproof and easy to install! 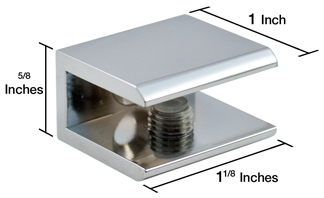 Can be used to secure shelf in both dry and wet environments, perfect for lightweight shower articles, displaying collectibles, organizing books, or showing off your latest treasures. Nylon tipped brass tension screws secure the glass. 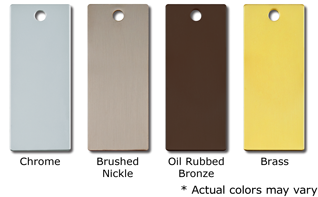 Premium Solid Brass metal will not rust for its lifetime -- perfect for use in bathrooms & showers. Color: Brass Finish. Metal: SOLID BRASS. 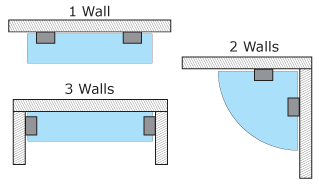 Width: 1-1/8 in (29 mm) Deep: 1 in (25.4 mm). Thickness: 1/8 in. Weight: 4 ounces. Minimum Order: 1 Each. 1 Year Warranty.